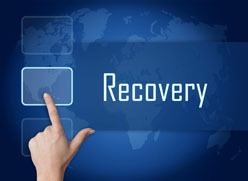 One of the biggest misconception is that your backup solution is a disaster recovery solution. When looking at a solution, you have to keep in mind how much downtime you can allow for. Downtime comes at a cost to your business. It is a statistical fact that 90% of all business that are down for 2 weeks go out of business in 2 years. If you were to lose all your data, what would it cost you? 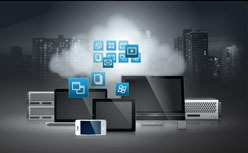 There are solutions that you can implement onsite where your computers and server exist in the event your internet connection cannot support a cloud based backup solution. With this type of solution, you have to ensure your data is still taken offsite. Some solutions offer the ability to recover your computer and/or server to a full functioning state within hours. You also have the option of backing up your data to the cloud. These solutions can also include an appliance type backup solution or backup data straight to cloud repository. Backing up just your data is a more cost effective solutions. If you chose to backup just your data to the cloud, you have to go through the process of installing your operating system and backup software before you are able to start a restore. You must take into account your internet connection when performing a restore. This is where an appliance type solution proves to be the best of both worlds. If your company cannot afford any downtime, we offer full disaster recovery solutions which allow you to function working off of your latest data taken from the last minute up or within the last couple of hours. What would you do if your hardware or facility were fully destroyed? What would you do if you had 5 minutes to evacuate your building and didn’t know when you could return.